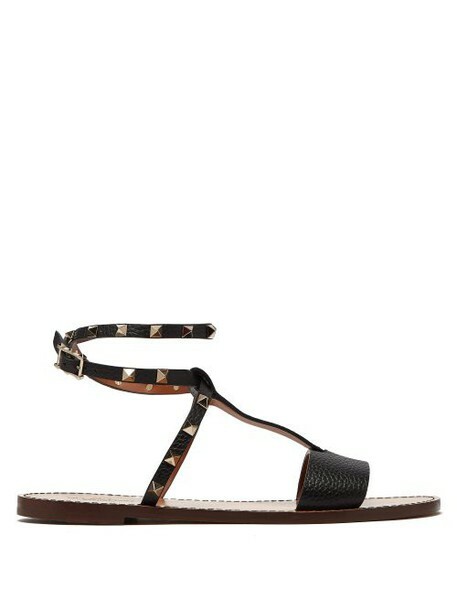 Valentino - Bring an air of refined rebellion into your summer repertoire courtesy of Valentino's black ankle strap sandals. They're Italian-crafted from grained leather with a clean T-shaped upper and slender ankle straps punctuated with the label's iconic Rockstuds in pale gold-tone metal. Emulate the darkly serene styling on the SS19 runway by wearing them with a crisp, knife-pleated dress.